Milton Keynes is a town in Buckinghamshire in the South East England which is equally distant from London, Birmingham, Oxford, Cambridge and Leicester. The town was founded only on 23 January 1967 with an aim to relieve the housing pressure in London. 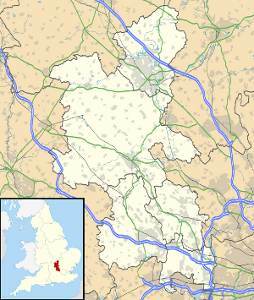 It is the administrative centre of the Borough of Milton Keynes and has a unitary authority but is a part of the ceremonial county of Buckinghamshire. Despite the fact Milton Keynes is a new town, the designated area of 89 square kilometres was not unpopulated at the time of its designation. The new town absorbed the existing towns of Bletchley, Wolverton and Stony Stratford which are today constituent towns of Milton Keynes. But the town also absorbed a number of smaller villages and hamlets some of which have a history dating back to the Early Middle Ages. The town itself took the name after the village of Milton Keynes which was first mentioned in the 11th century as Middeltone. The modern name of the village was first recorded in the 15th century. The history of the designated area, however, does not begin in the Middle Ages. Before the construction of modern Milton Keynes, the site was investigated by archaeologists who found evidence of human settlements as early as in 2,000 BC. Some of the most exciting archaeological finds include a Bronze Age jewellery hoard, a Roman villa, Roman gold coins and a wealth of artefacts from the Middle Ages. Before designation of Milton Keynes, the area had a population of less than 50,000. Today, the town is estimated to have nearly 250,00 residents which means that the project has succeeded as the town was planned to provide a home to 250,000 people. One of the main reasons for this success also lays in its design which was created by some of the most respected urban planners and architects including Lord Norman Foster, Sir Richard MacCormac, Ralph Erskine, Henning Larsen, Martin Richardson and John Winter. They created a strongly modernist design and used the grid square system for layout. Other key features of the original town design include intensive planting, parkland and lakes which are so characteristic for today’s Milton Keynes. According to the original plan, no building in the town should be taller than the tallest tree but this was later revised. Nevertheless, the vision of the new town turned out to be a success and in 2004, an extension plan was announced according to which the population should double by 2026. Milton Keynes can be described as an outstanding blend of ancient and modern which gives it a unique character that attracts both new residents and visitors. It may not be as popular urban vacation destination as other England’s towns but due to its outstanding diversity and contrasts, no visitor to the town leaves it disappointed.